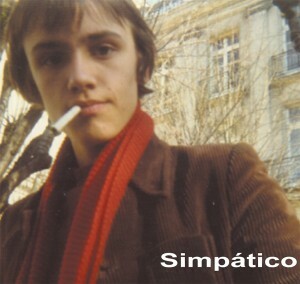 A happy return to the Matinée catalogue for Sweet William vocalist and guitarist Jason Sweeney with his new project Simpático. Combining strummed guitars and earnest vocals with electronic rhythms and keyboards, these four exclusive songs are seductive and sublime, not unlike the practiced brilliance of Brian, Pale Saints, Trembling Blue Stars, or Magnetic Fields. Matinée is delighted to offer the debut single from one of tomorrow's household names.